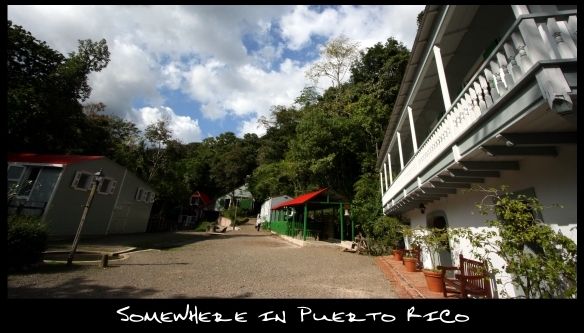 On a recent Caribbean escape, we made a diversion into the central mountains of Puerto Rico to visit a Cacao and Coffee Plantation. The historical Hacienda was a beautiful environment to see Cacao Pods maturing on natural, shade covered trees. The harvest will officially take place in March however, Kim and I were able to experience the process from start to finish. 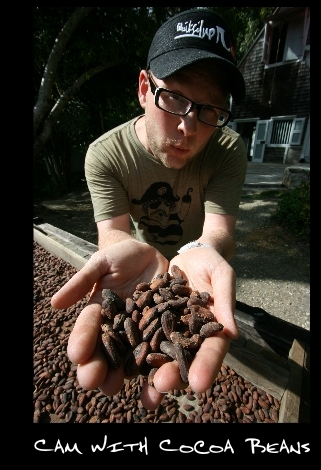 As with Coffee, Cacao is best grown in conditions that aren’t totally sun-drenched or exposed to the elements. The Hacienda has Coffee and Cacao randomly interspersed within the natural canopy cover and had the most beautiful natural surroundings including a giant waterfall. 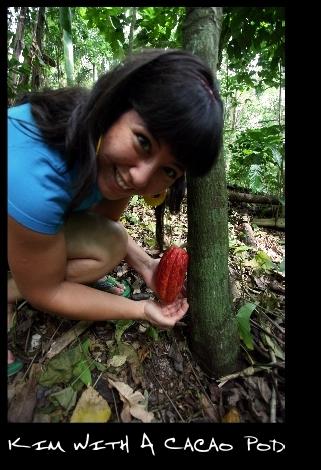 As you can see, Cacao Pods can grow directly on the trunk of the tree, as well as on the branches. Cacao trees will only bear fruit 20oN and 20oS of the Equator but most of crops are produced within a smaller band only 10oN and 10oS of the Equator. The trees require an average temperature of approximately 25°C (77°F), relatively high humidity and substantial rainfall. When the pods are ready to harvest, they are carefully cut from the trunk and leading branches of the tree, with care not to damage the growth node. The brightly colored pods are then cut open to reveal 20-30 almond-sized beans. The beans are covered in a white gelatinous pulp. The Cacao beans are left to ferment under cover. This process allows sugars and pulp to dissipate which leaves the beans clean and bursting with new flavors that previously didn’t exist. During fermentation, high temperatures from the process make the bean unable to germinate and the nutrients stay in the bean. Better fermentation leads to better flavor and less roasting time to bring out the intended flavor. Fermentation can last up to eight days. Cocoa beans, as they are now referred after fermentation, are then left to dry in racks in the tropical sun. Drying the beans reduces the moisture content and can last from 5 to 10 days. While the beans release their moisture, they shrink and can be picked over for debris, germinated beans and broken pieces. 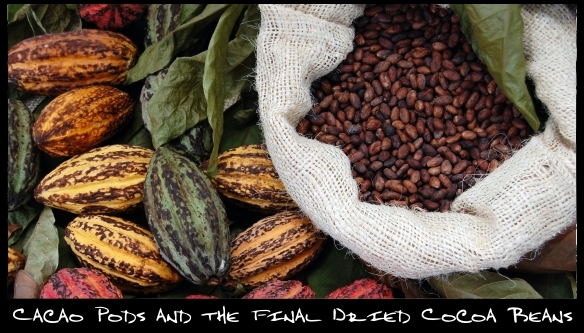 The Cocoa is now a commodity and is ready to be sorted by size and quality. It can now be bagged and shipped to Chocolate Manufacturers who can then roast the beans and begin the process of turning them into chocolate, cocoa butter, cocoa powder, and other products.